THE judge investigating the ERE slush fund scandal is being urged to send the case to the Supreme Court. The Anti-corruption Attorney’s office insists that Judge Mercedes Alaya transfers the case, as the seven ex-Socialist officials under scrutiny cannot be tried in a regular court. 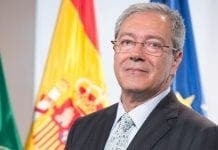 Leading officials Manuel Chaves and Jose Antonio Grinan, as well as five ex-regional commissioners, have parliamentary immunity that exempts them from a regular trial. The officials are under scrutiny for their alleged role in the ERE scandal, a long-running fraud case involving a regional government fund. In the biggest public money scam in Spanish history, the fund was allegedly used to disguise bogus early retirement payouts to individuals who had no right to the money. 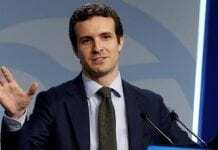 The prosecution estimates that €140 million of public money were syphoned off between 2001 and 2010 from the fund, set up by the Andalucian government. The Anti-corruption Attorney’s office also want the case to be broken up into several smaller units, to cope with the extent of the investigation. Each section would deal with a different alleged crime relating to the ERE case. Some of the areas specified include the people who collected benefits from companies they never worked for; the companies who received aid for non-existent restructuring; and the excessive fees charged by firms, mediators and the labour unions for services that were paid out by the regional government without any auditing. They all get caught out in the end. I can think of nothing better than seeing the Junta de Andalucia (aka protectors of the poor and needy) well and truly in the brown stuff. Hope this Judge throws the book at them. Kick them out before they do even more damage and make even more people homeless by demolishing so called “illegal” properties.